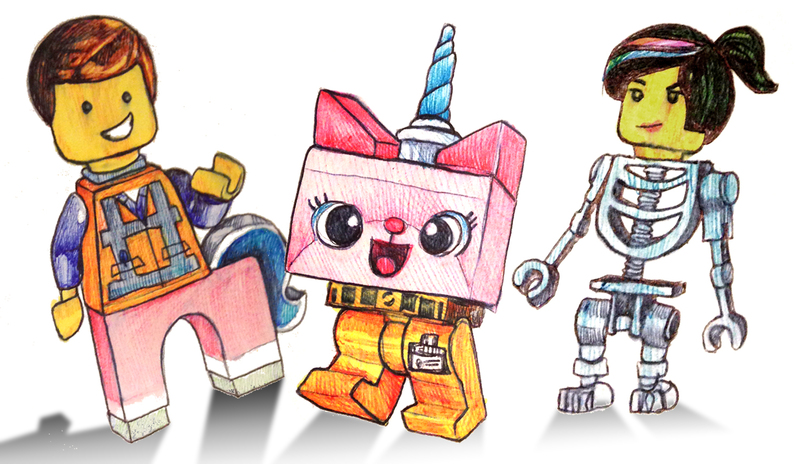 I’m assuming that most of you (especially if you have kids) have all seen the Lego Movie by now? If not, you should–it’s AWESOME! Anyway, it struck a chord with me, especially when I realized that I’m…well…I’m totally a Lord Business. Like I assume most parents do, I initially bought “big kid” Lego sets so Myla could learn to build all the magically fun things that are on the box by following instructions that are so simple they don’t even need words. And maybe it’s because I’m a bit obsessive, but the same thing happens in our house as what I assume might happen in all of yours: the kid eventually loses interest, and I end up building them all myself. 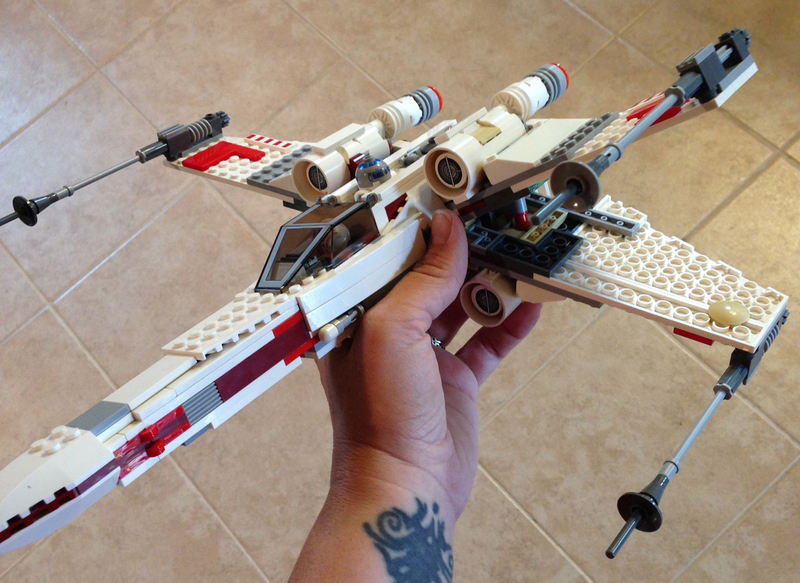 When a person like me spends hours and hours putting a complicated Lego spaceship together, the urge to superglue it in place so it never ever moves or gets broken or taken apart ever again is very very difficult to resist. This is where the kid comes in. I have begun to realize that Myla doesn’t really care WHAT the final product looks like. She loves the characters. She loves that she has more Lego blocks to play with. She loves Lego Superman and Batman and Pepper Potts. She loves mixing the other characters around, swapping out their body parts until they all look like they should belong in Cloud Cuckoo Land. For a Lord Business like me, that’s just crazy talk. Where I like to follow the instructions step by step, the kid would love to just rip open the bags and play. While I enjoy methodical organization, she prefers errant, whimsical chaos. This has taught me that the message of the movie is true: you can’t REALLY get the most out of your Legos if you Kragle them so they never move, or only play with them the way that’s on the box. You’re supposed to use your imagination. Sometimes the best fun comes from using something in ways you never expected. Where I see the box as instructions for a goal meant to be victoriously accomplished, she sees them as VERY loose suggestions. It’s a whole other world for someone as “type A” as me. But I do find myself fascinated by it. I consider myself a pretty creative person, flexible to quite a few mediums, and adventurous in always trying new ones. I like to draw, paint, sculpt and sew…but there are some places where my creativity just shuts down to a screetching halt. The first place is in the kitchen. The second is with Legos. Give me some chicken and veggies, and I can get about as creative as a VERY simple stir-fry. That’s about it. Hand me some Legos with no instructions, and I might be able to build a chair. Or a very very simple spaceship. And here’s where I turn into Emmet, and try to embrace my inner Master Builder. My favorite character from the movie is Metalbeard. 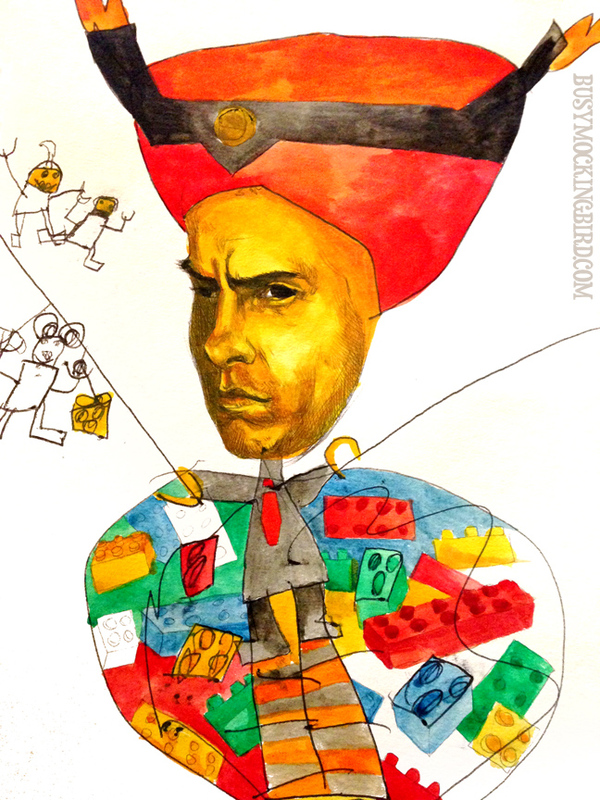 The story goes that he and his pirate crew tried to defeat Lord Business, and were destroyed, his ship and his body blown to bits so all that remained was his little Lego pirate head. 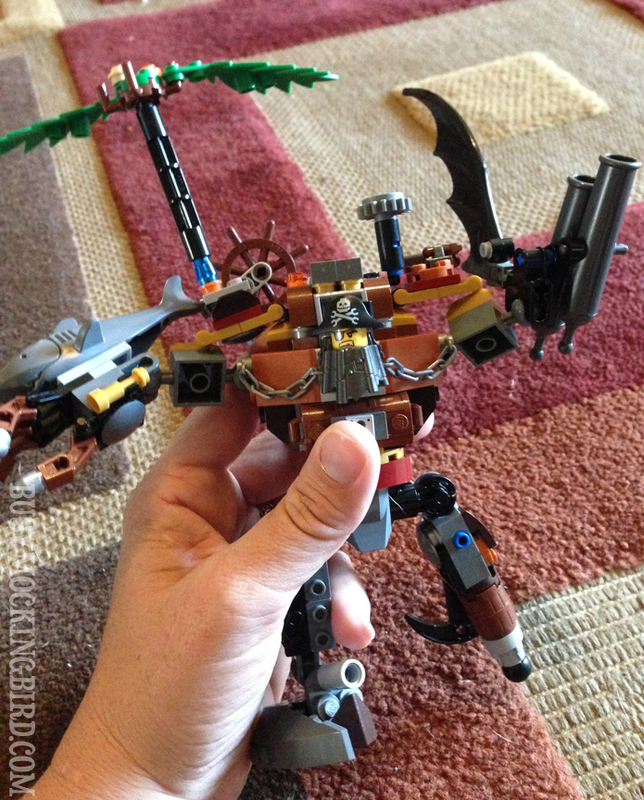 Being a Master Builder, Metalbeard survived by rebuilding himself from bits and pieces of his ship. I built him from the kit and it took me ages (in between day-to-day kid and house stuff). I was so stinkin’ proud of how cool he looked when he was done! But after months in the Lego box, he’s started to fall apart. I’ve tried my best to patch him up, but without my instructions, I’m pretty lost. So I’ve tried adding this or that onto him. Bits of a palm tree. 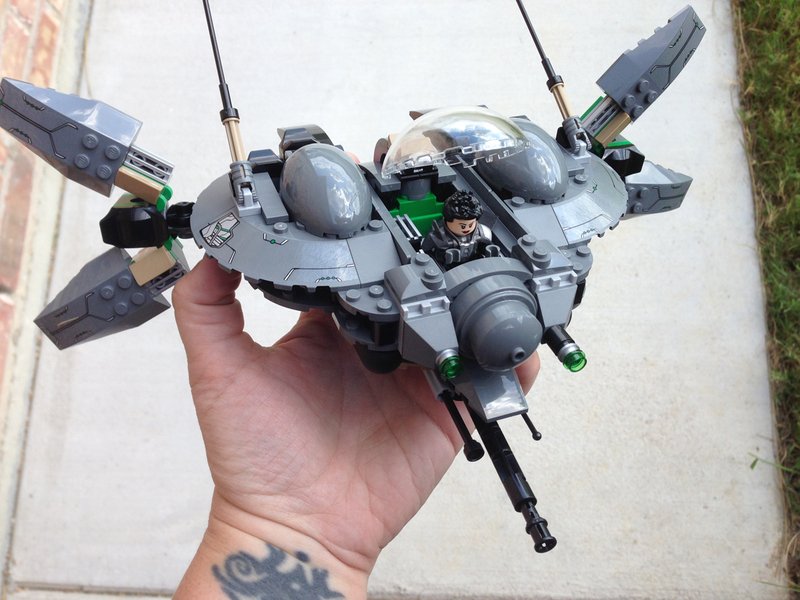 Parts of the Batwing. Like Emmett, it equates to sticking two blocks together and throwing them at the bad guy. Under my building supervision, Metalbeard’s days are sadly limited. But the idea of him is still there, and I love him. You lose a little of that devil-may-care spontaneity when you grow up. There are times I choose to sit & play with Myla and my mind is completely blank, void of any possible scenario we might create. There are other times when the simplest, silliest things entertain us both. There are even better, more rare moments, where she is playing on her own and doesn’t know I can hear all the wonderfully creative things she comes up with. So I’ll continue to follow the kid’s lead on things like that. She builds without the concern for failure. She builds without the worry of “messing up.” Because to her, just enjoying the time playing is what it’s about. And isn’t that pretty much what I learned from her when we started drawing together? Proof positive that kids already know a few things that adults have forgotten. Once you grow up, it’s a constant struggle to run back to that childhood place where grownup stuff doesn’t matter and things are fun just for fun’s sake. Good for you! 🙂 Big LEGO fanatics at my house too. It has come to the point that they consider a bit before asking me to join them in building something because I purposely make the goofiest, most far-out thing I can put together. If it gets a laugh out of any of them, it’s worth every second. And every second with the little ones does matter. These are amazing! I’m literally watching the LEGO Movie right now, and this will be the second viewing in the last 24 hours. And I don’t have children. Great post. 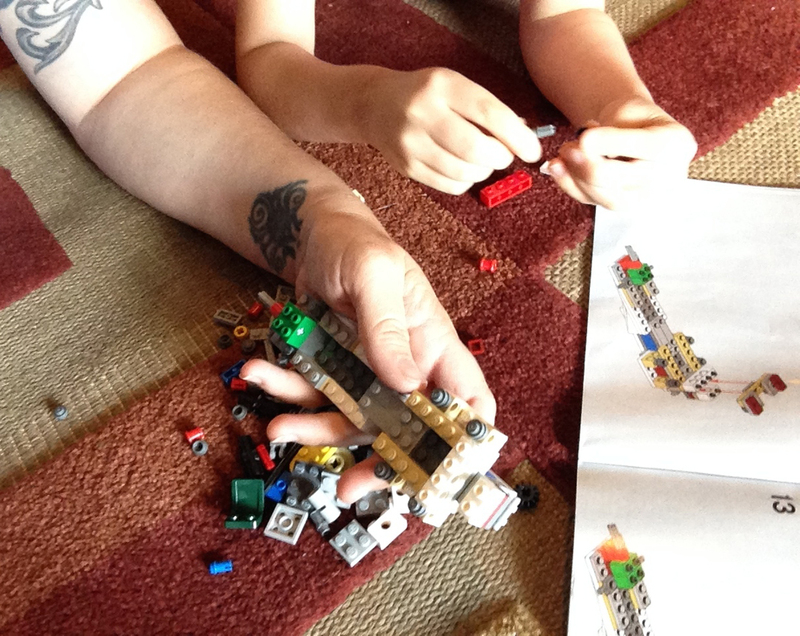 My son is a huge Lego fan, and I always enjoy “freestyling” with him way more than building the kits. Love the Lego movie, and love the message! Will have to show this great post to my son tomorrow. 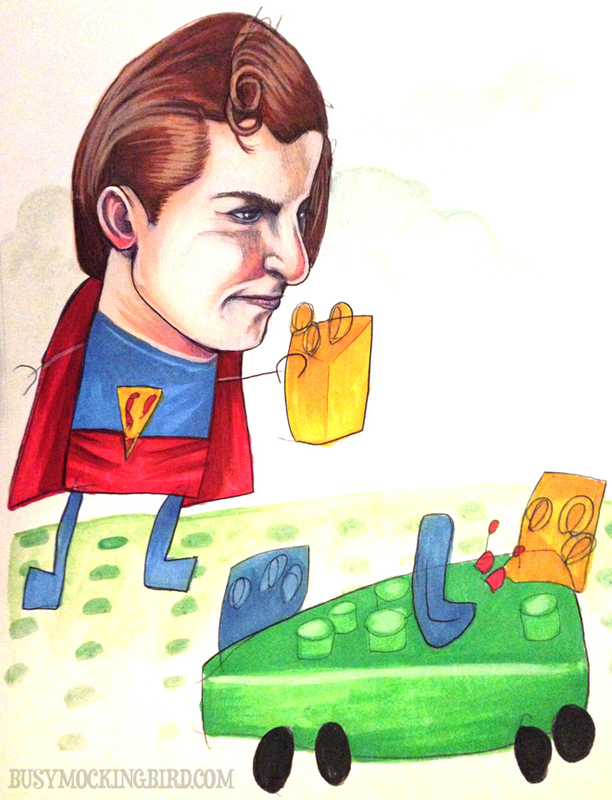 He is nuts about Legos, the Lego movie, art, and drawing Lord Business. This is full of little boy goodness. I still remember overhearing at a toy store a mother saying to her son holding a LEGO set “Oh you’ll just break it, let’s by you a video game instead!” I was then just a teenager so I didn’t dare to go and ask her does her son have some superpowers because a LEGO block is impossible to break. But I really really wanted to. And I felt so sorry for the little boy. 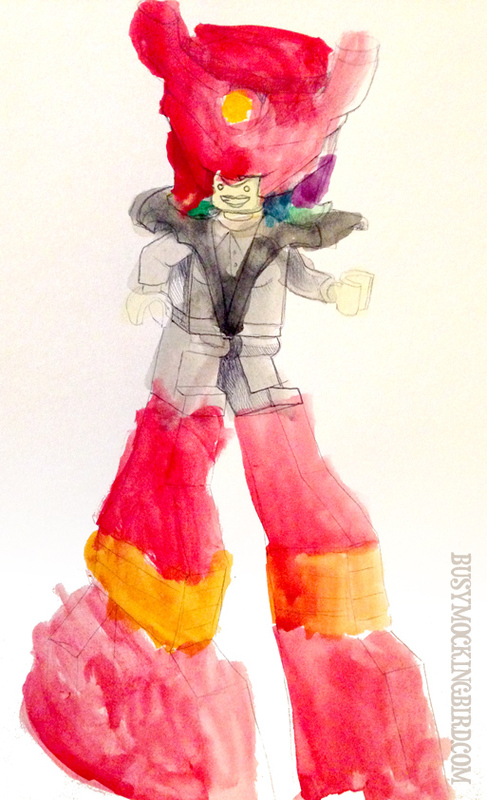 My teenage son still has his favorite Bionicles in his room – the way he liked to put them together. PS… are any of those for sale?